Rich textures and aristocratic furnishings nestle privately in the scenic interior. 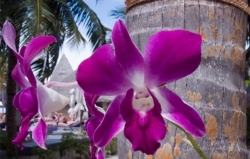 Find your own delightful spot on a generous island where the restful spa steals the show. 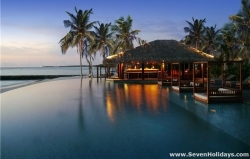 The largest resort island and one of Asia's finest luxury hotel operators come together to create a rich fantasy of a tropical island life without leaving anything behind. 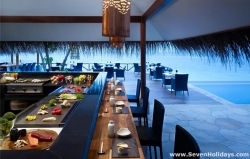 One of the first Maldives resorts and a British favourite, upgraded with first-rate interiors, facilities and service. Plenty of sun and a choice of lagoon or popular pool. 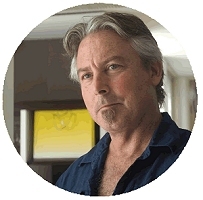 Hip and happening resort for those who love the simple things done with style and panache. 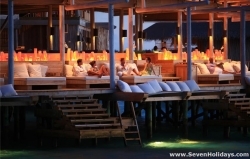 Rustic chic for a younger, more active and chilled set than its sister resort Soneva Fushi. A faultless resort. Natural, luxurious, a destination for gourmets of wine and food, mind and body. And with a green conscience second to none. 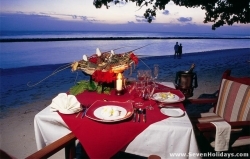 Economical all-inclusive with eager staff and plenty to do, not least diving and water sports. An utterly unpretentious and a relaxing place to spend a long day in the sun. 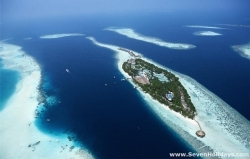 Hilton's new Maldives property on a new resort atoll. An entry level five star with great facilities for the children and separate space for private couples too. 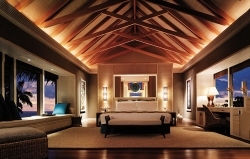 One of the most refined resorts – the epitome of good living through sublime cuisine and a destination spa. 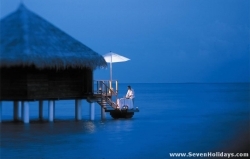 The calm, sensory ambience is aided by an enchanting lagoon. In a distant, quiet corner of the beautiful Gaafu Alifu atoll sits a new luxury resort from the makers of elite hotels and resorts in the Indian Ocean. Privacy, a destination spa and great beaches lead the attractions here. 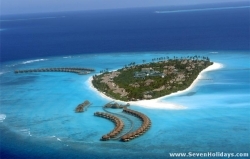 After a period under the management of Hilton Hotels, the Maldivian owner and entrepreneur, Siyam, has turned this resort into the first of his own brand Sun Siyam Resorts. 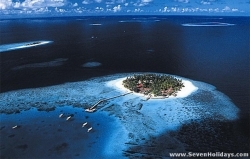 As he was born and brought up in this atoll, there is a particularly .. Perfect if you want a small, tranquil resort close to the airport. An ideal lagoon, good eating, reasonable price and homely village feel explain why everyone loves Thulhagiri. 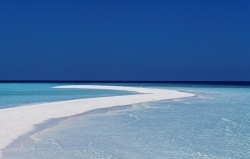 A beach and a reef all the way around, fine rooms and a soft club concept. Great snorkeling and diving. A lovers resort in a very smart, modern look. Full of romance, relaxation and fine things but also full of fun and activity when desired. Massive upgrading to the top bracket, yet Veligandu still feels relaxed and friendly. Sand below, thatch on top, fine rooms and the best beaches. 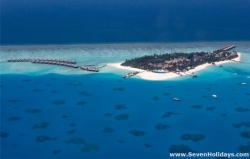 With mature garden, wide beach, great snorkelling, diving, lagoon and spa, popular Vilu Reef is crowded but still private. Mostly all-inclusive with something for all. A relaxed, friendly style that has everyone at ease. A place for those that have the means and like the off-beat, the spontaneous and the fun mixed in with their pleasures.